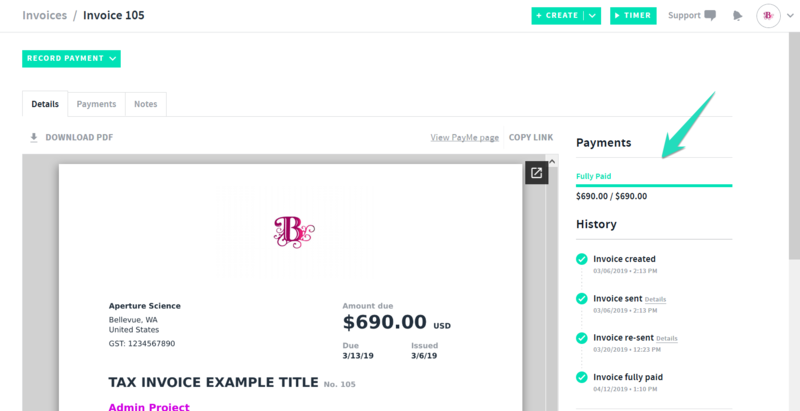 Once you have set up your online payment settings via the settings > manage online payments and connected to WePay, Stripe or PayPal your clients will then be able to pay you online via your PayMe page, invoices, online deposits and subscriptions (once authorized). See more on setting up online payments! Once you have been paid online either via your PayMe page, invoices, deposits and subscriptions (once authorized) you will receive a email confirmation as well as a in app notification via the notifications tab advising you that you have been paid via your PayMe Page. The respective invoice, deposit and subscription will be auto updated as paid in the app. A income will be created for payments that do not have a existing transaction already created in the app. As soon as a payment is made via your PayMe page you will receive a email from your payment gateway eg. Stripe, WePay or PayPal depending on your set up. Your client will also receive a payment receipt upon confirmation of payment as well as an email from the payment gateway they paid eg. 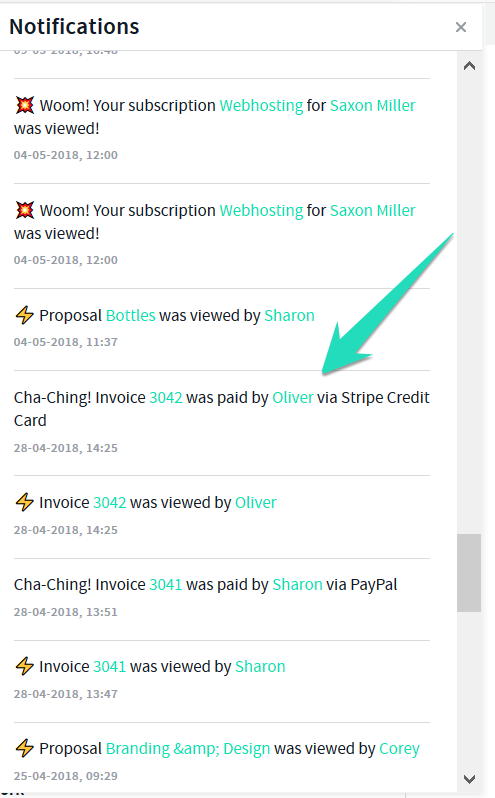 Stripe, WePay or PayPal confirming the payment. You will also see directly in your connected payment account eg WePay, Stripe or PayPal by logging in directly to see the pending/processed payments. Example of Payments directly in your PayPal account. You can manage all of your payments directly in the payment account by logging in direct and selecting from your options. You can also set up automatic withdrawals via WePay And Stripe and you would simply need to enter in your Bank information and select your withdraw options. It is recommended to contact your payment provider eg WePay, PayPal, Stripe should you have any questions. Please note AND CO does not have access to your connected payment account. 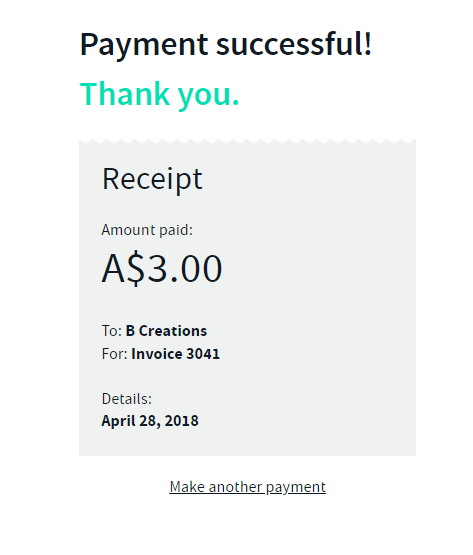 Once you have been paid please check for the confirmation email and in app notification as well as your connected payment account directly. WePay is for US and Canadian users only, please note you must have a US or Canadian Bank account along with a US or Canadian Address please contact WePay support team for any queries here, WePay Support. WePay users please ensure you have successfully set up your WePay profile via WePay directly and if required please reach out to WePay Support with any queries regarding your WePay account set up. The minimum amount is $3 for all payments made via your PayMe page.